In 1932 amphetamine was included as the active ingredient in the Benzedrine inhaler, and the general public was offered a readily accessible source of this powerful drug. Abuse spread quickly and involved many segments of the population -- truck drivers, students, athletes, troops, entertainers, and housewives. Today nearly one-third of all high school seniors have at least tried amphetamine. In low doses amphetamine speeds up the nervous system, thus creating conditions of sleeplessness and high tension; in large doses amphetamine can lead to violent behavior and psychosis. It may also cause convulsions, comas, brain damage, and birth defects. 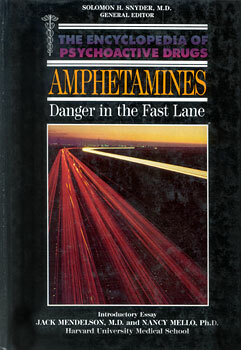 With dependence on amphetamines approaching near epidemic proportions, this book provides a timely and comprehensive review of the drug's effects, history, legal status, and current trends.